This is a discussion on Cargo Carrier.. within the Towing forums, part of the Equinox, Terrain & SRX Modifications category! Yeah I know that this is about towing but has anyone used a cargo carrier on their Equinox? 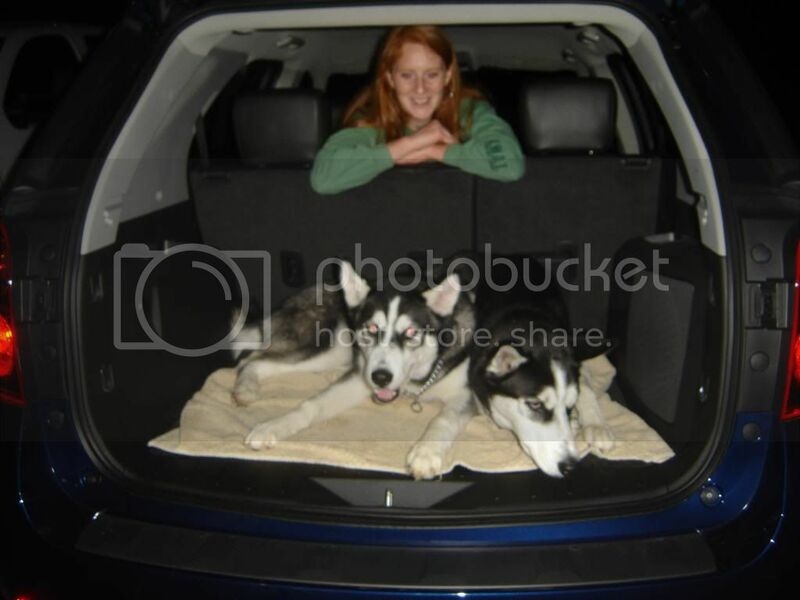 Whenever we go on trips we always have to lug around our dog cages for the boys. Being that we have leather I don't like putting them between the front seats and the back. I can either strap them to a cargo carrier that gets towed by the receiver or get the cargo carrier brackets for the luggage rack.. I'm looking into a car top cargo carrier to buy for my Black 2LT (haven't taken delivery yet). I really like the Yakima brand, but they are pretty expensive. 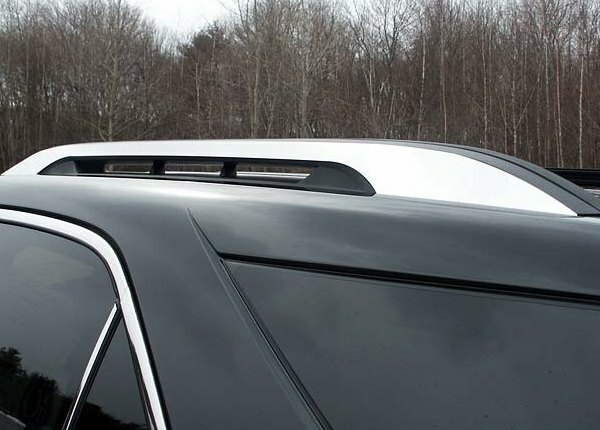 Does anyone have a recommendation for an aerodynamic carrier, and what's the maximum length I can get without it looking ridiculous on my roof? For my 120lb Yellow lab, I use a sling for the back seat, and rest his kennel behind the back portion of the 2 front seats. with some shipping blankets for protection. works good. I bought my Surco Roof Rack from 4 Wheel Online. They are very durable. Very impressed with 2018 Equinox Premiure model built in tow package, roof rack and tie down hook on front for adapting Thule Cargo Carrier and Yakima Kayak Carrier as well as receiver bike rack..drove from Mesa Arizona to Winnipeg Canada over 3 days with setup..made for this type of travel! That's a 14 foot tandem kayak on vehicle.